1. Work out more. I am happy to say that I am 4 for 4 in the gym this week. (May be 4 for 5 due to this lazy snow day). You may be thinking “Day 5? Today is January 7th, where is she getting ‘Day 5’ from? ?” Obviously weekends don’t count when it comes to diet and exercise. This couch sure is looking cozy right about now. 2. Decorate more. 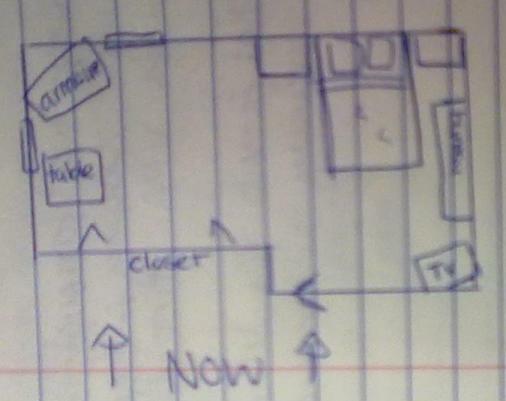 As I went through old notebooks, cleaning up my workspace, I came across home plans that I drew up months ago. Some I accomplished halfway and some never got further than the pen hitting the paper. 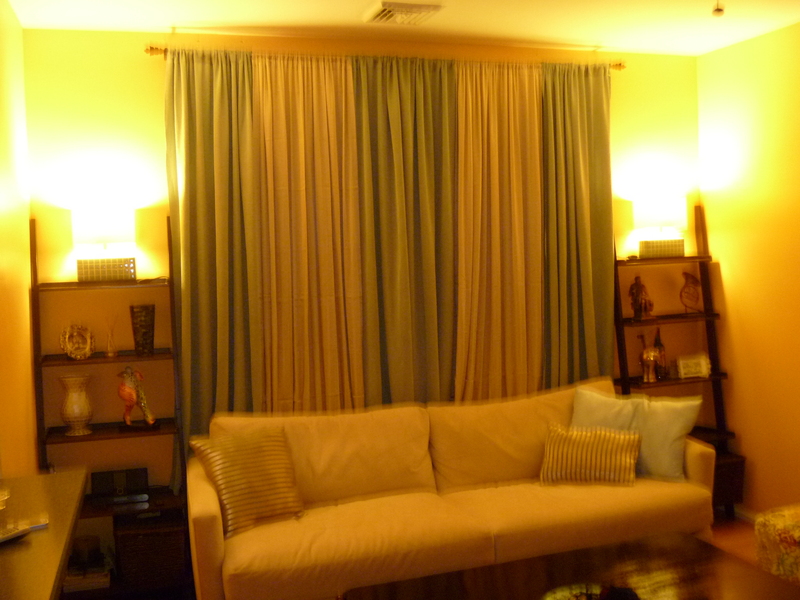 Among such were dining room drapes. It is true that I bought, hung, and steamed the drapes. However, that is as far as I got. The drapes are still loosely hanging with no drawback. (I taped them back with electrical tape for the photo below. Shame on me). Instead of presenting the dining room like a pretty little package, it resembles the balcony of a beach house with wet, sandy towels drying to a stiff uncomfortableness (only more silky and soft than stiff and uncomfortable). It is also asymmetrical. I’m not encouraging perfect symmetry in every aspect of a home, but the entrance to our dining room is too wide to have only one side dressed. Also on the list was the dining room bench. With the haste stapling and the lack of foam and batting, I had planned on reupholstering the bench while also adding sides and a back. This will ideally give a more sophisticated-lounge-like feel rather than a playground-picnic-like feel. 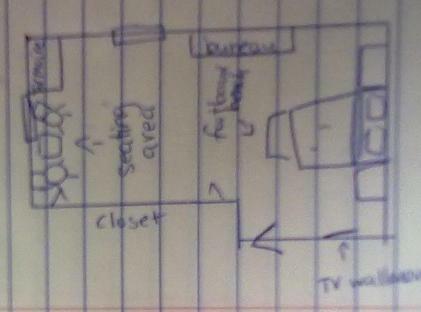 Last in the notebook of procrastination was the Master Suite Makeover. 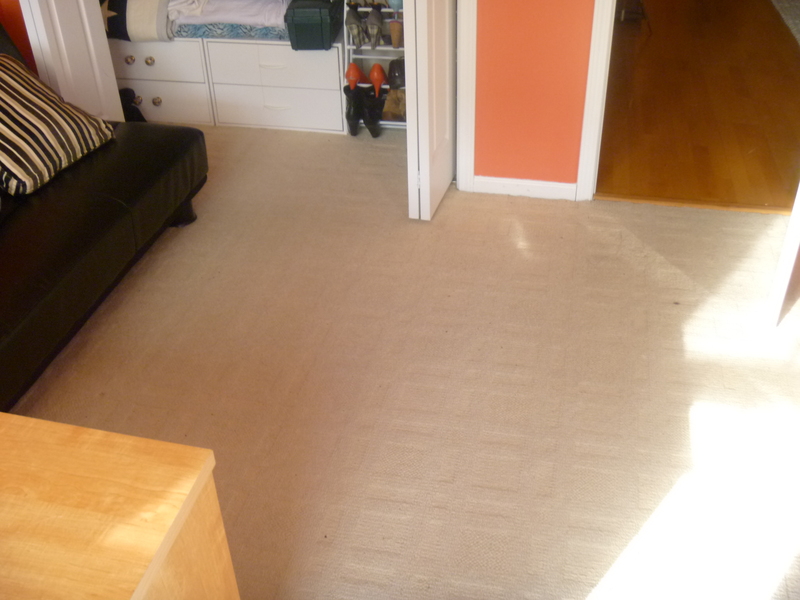 I started on my mom’s bedroom a few months back and progressed pretty far during the 2 weekends I spent on it. But with the holidays and my own home plans, the master makeover fell to the back burner. 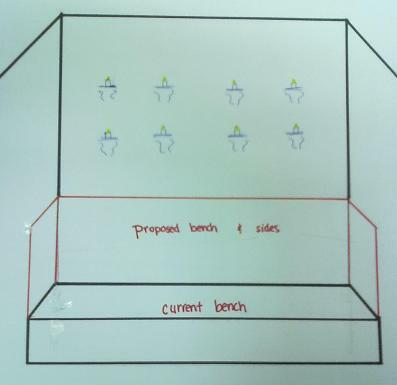 This morning I came across the original plans I had for the room, and while I’ve got to say that the floorplan itself is close to complete, isn’t it really all about accessorizing? The footboard doesn’t yet exist. The 2 chairs in the ‘seating area’ have become 1 chaise, table yet to be found. 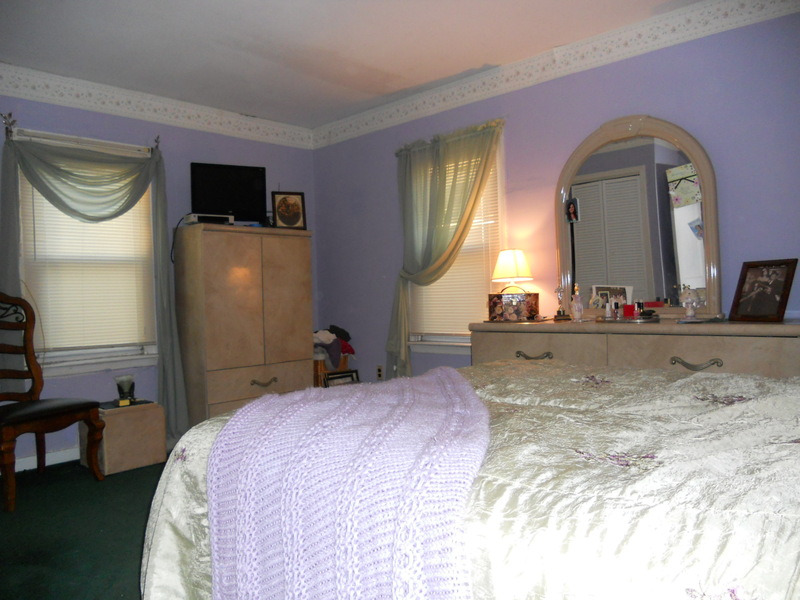 The TV is on the opposite wall to the left of the bed. Other than that, this is spot on. But the accessories! 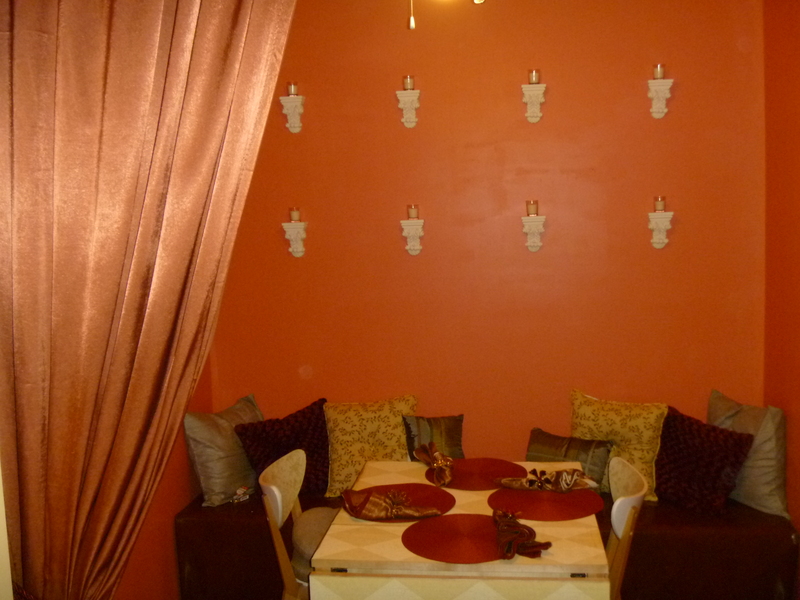 The tables need lamps, the seating area needs an area rug, the walls need art, the windows need drapes, etc, etc! 3. Take and post photos regardless of progress. In the past, I have hesitated to take photos in the before and during stages. While this may seem shallow and vein, it is really mere forgetfulness (with maybe a dash of vanity). I would clean from top to bottom in preparation of a photo shoot, and regret it later when I am explaining only in words how long and hard I worked on any given project. For example, in 2010 I would have never posted these cringe-worthy photos of our office during laundry day (laundry week). 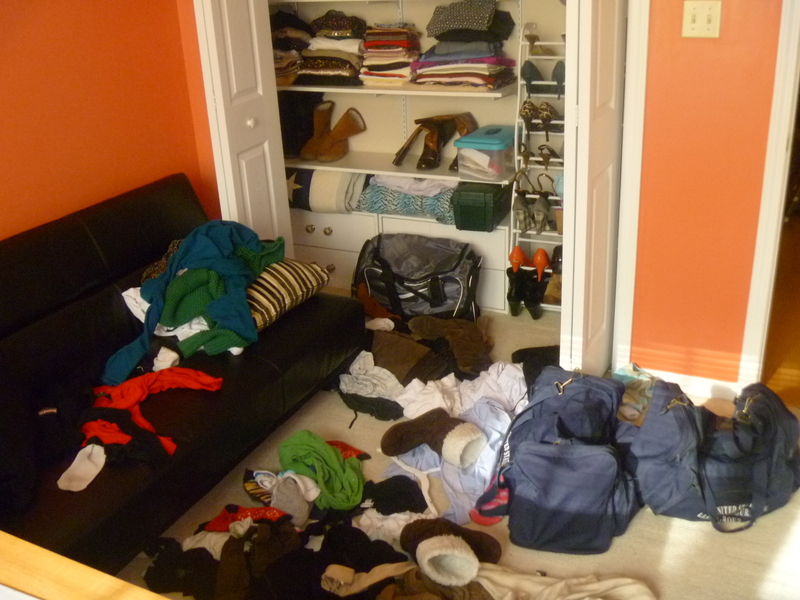 Stage 1: Wait until clean laundry builds up on the floor and the closets are empty. 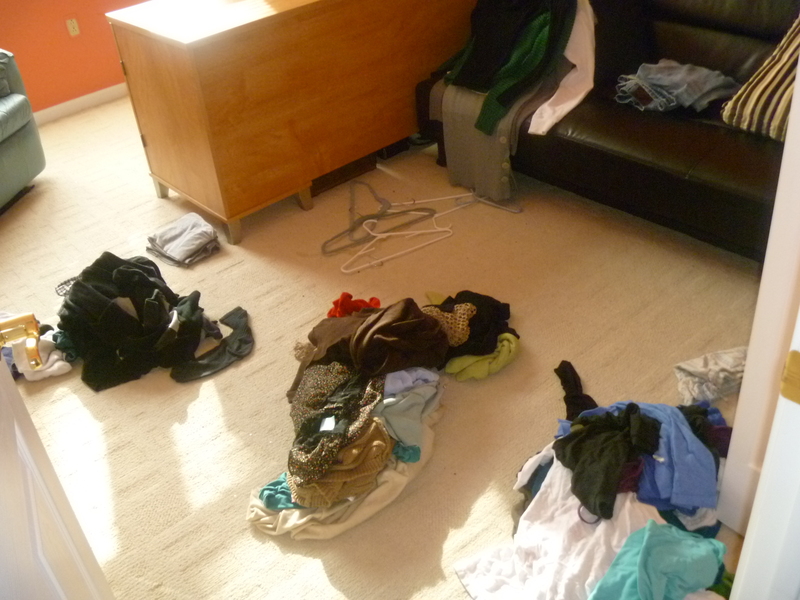 Stage 2: Sort laundry into his and mine, foldables and hangables. 4. Be more efficient at doing laundry. I hope everyone’s 2011 is off to a great start and I look forward to jumping back into inexpensive elegance now that the hectic holidays are over. I understand not taking pictures throughout. I’m guilty of that too. But it’s really hard to go and find your camera in the middle of a project!